Albert is a 15 year old boy in a new school. He is the smartest, the most intelligent kid at school, but he has no friends. His parents, Pauline and Hermann, are worried about this. Back from school, he loves to spend the rest of the day in his lab working on a Relativity Theory and other crazy experiments. Albert wants to find out how to make friends. So he decides to use all his genius to find the best way to be accepted. Albert proves to be a bit of a rebel regarding his thoughts and the discoveries of a respected physicist as Isaac Newton was. To pass the year, Ms. Degenhart assigns, young Albert Einstein and Michelle Besso, a challenging homework. Albert will have to tutor Mike on the works of Isaac Newton. 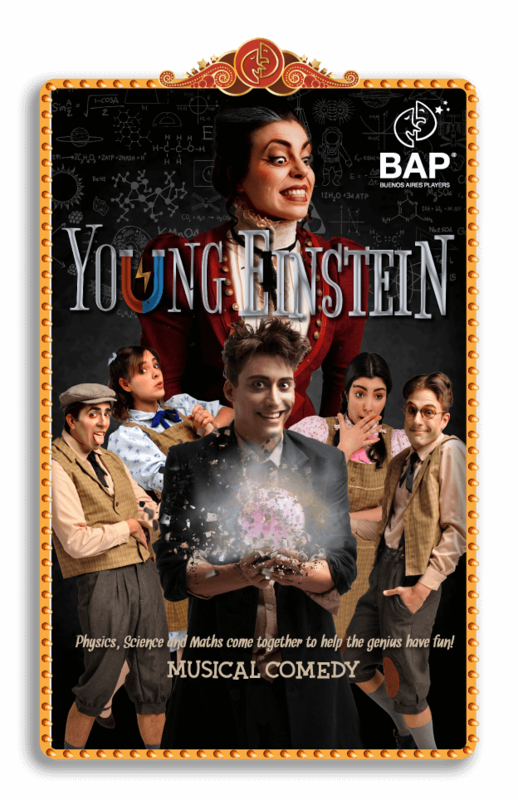 By explaining, in a humorous and smart way, the three basic laws that Newton revealed, Mike will understand Newton´s Laws, and Albert will understand that the best way to make friends, is to be himself! 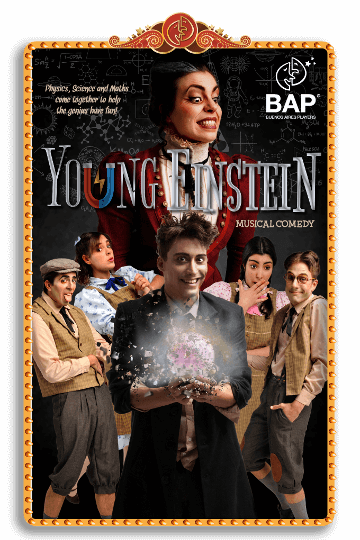 Join us on this wonderful play about a kid who would grow to be the greatest scientist of the 20th Century!